This week is the mid-session break. 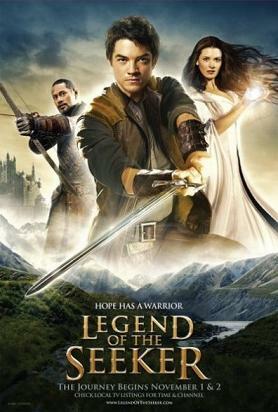 We’re showing Legend of the Seeker, the middle third of season two. Since we’ve not got classes on, SpockSoc will be having an extra-special extended screening, like we did last session – this lets us get an extra episode into the screening, which in turn will allow us to finish the season this session. So the screening starts at 4pm in the Red Centre Theatre (rather than 5). You should hopefully know where that is by now, but we’ll still be hanging the SpockSoc banner out where it’s visible from the main runway. Pizza run at 7-ish.